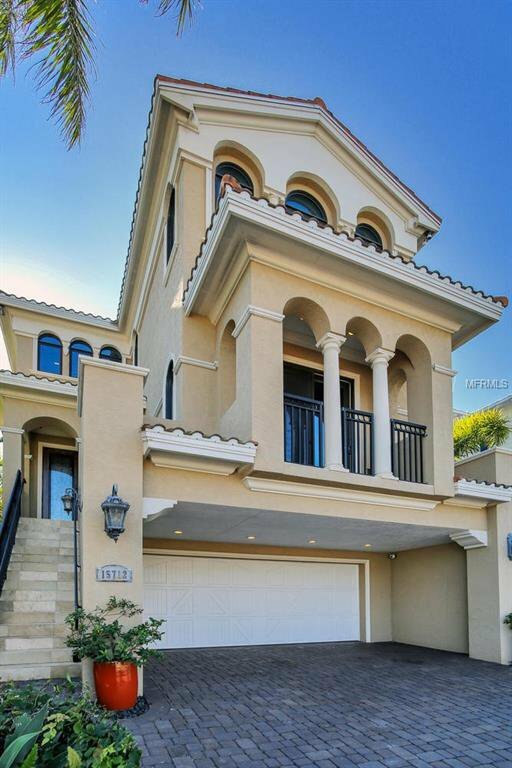 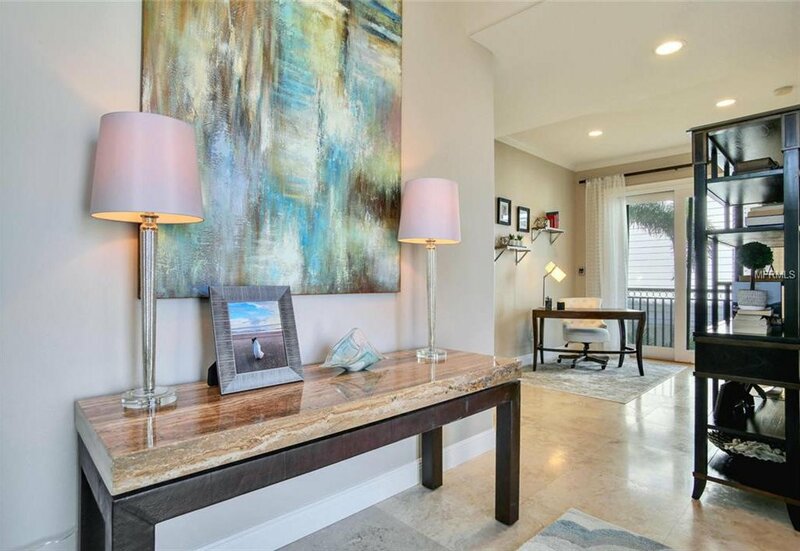 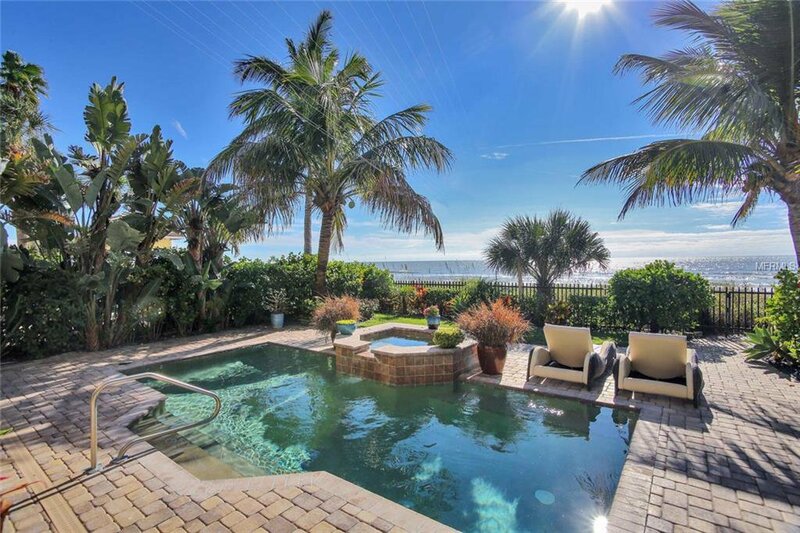 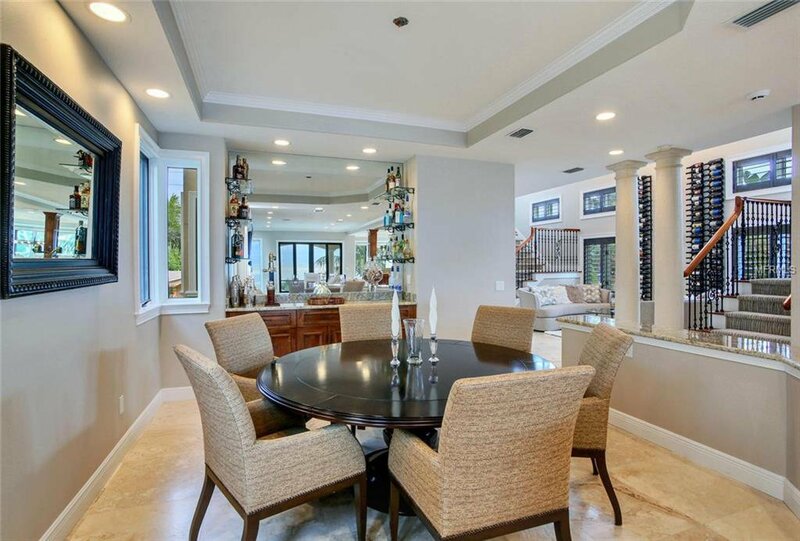 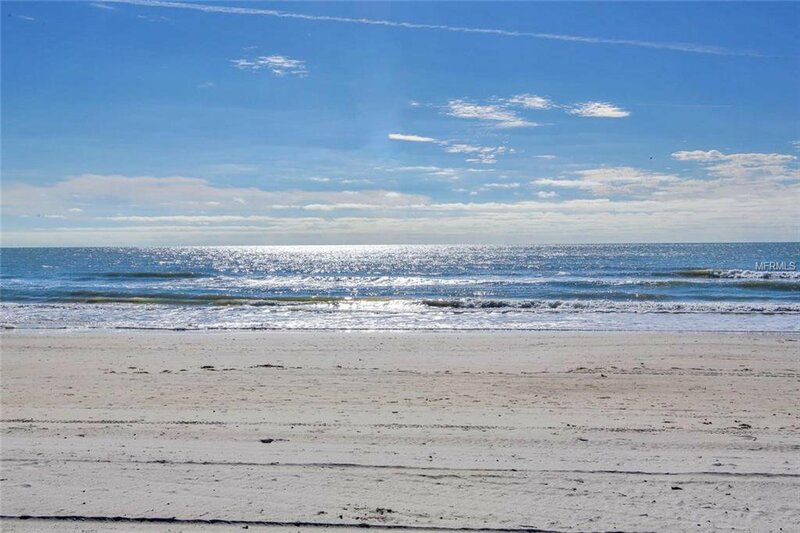 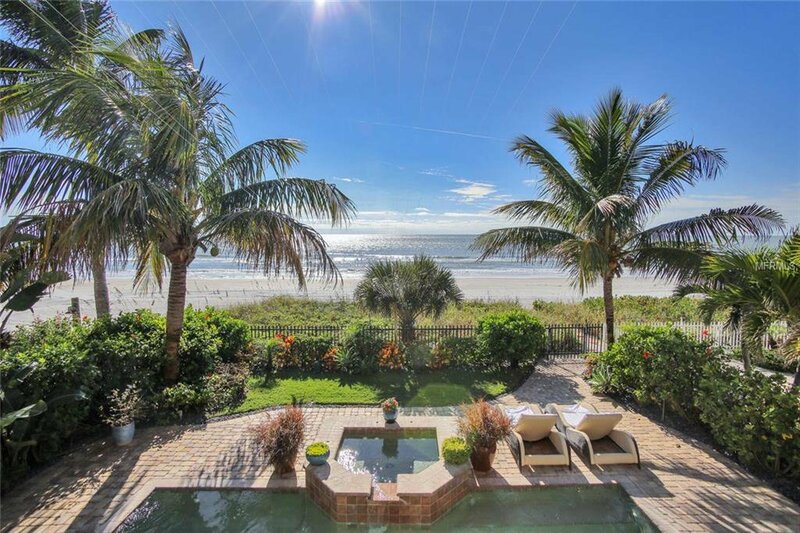 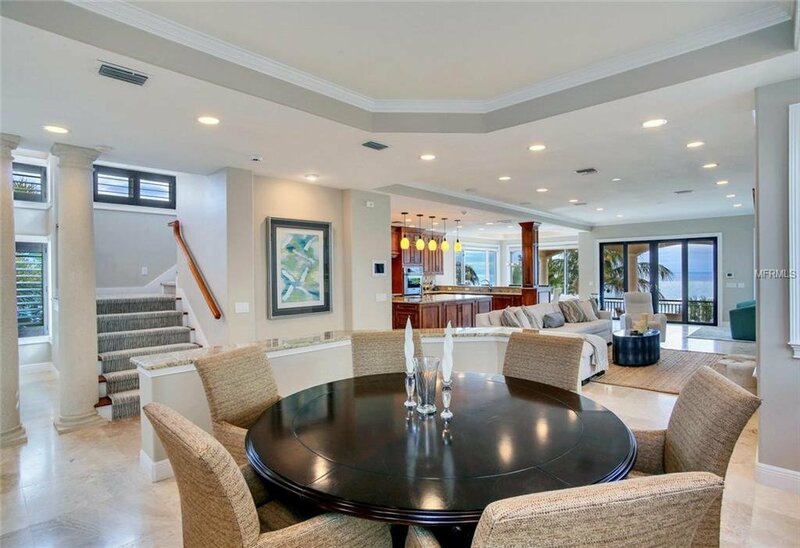 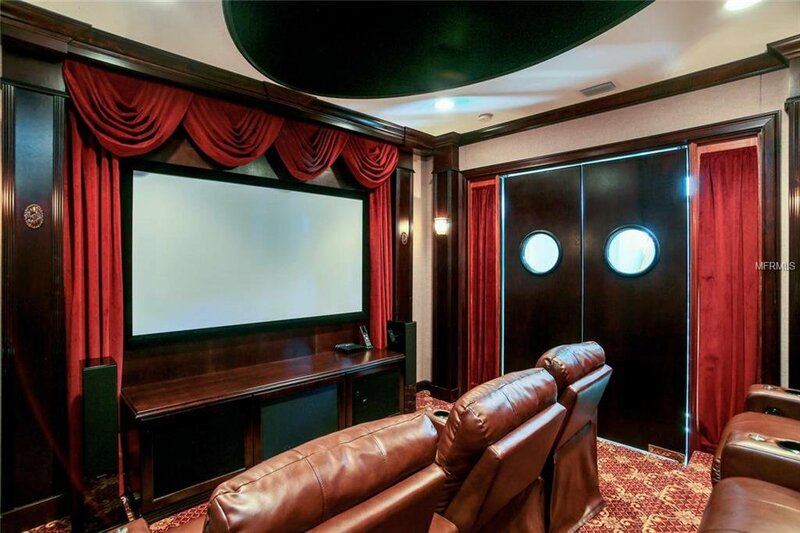 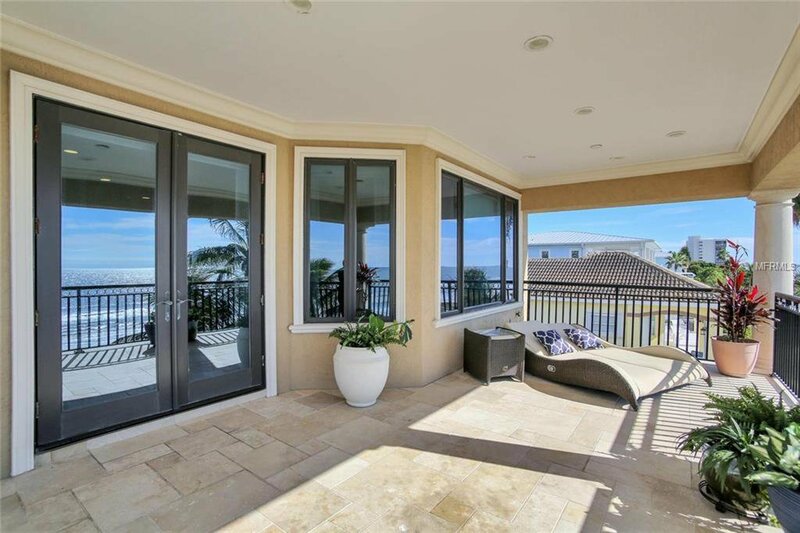 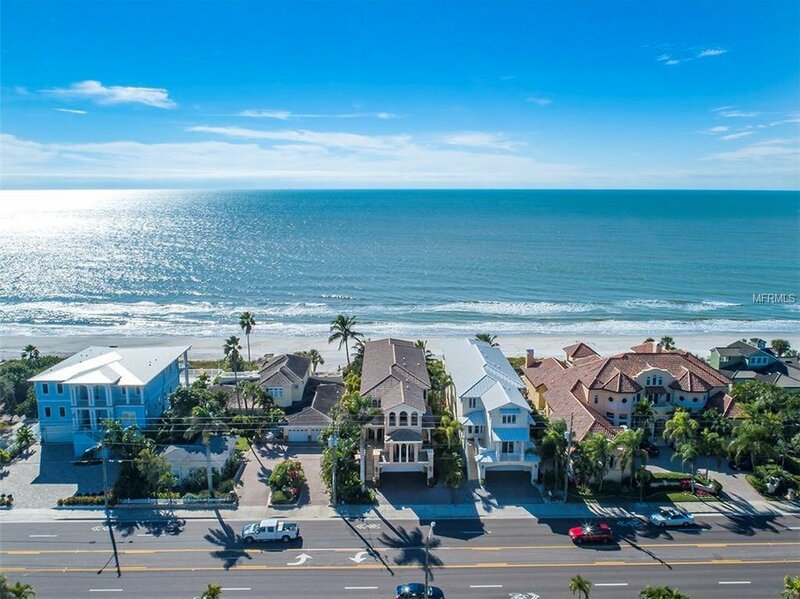 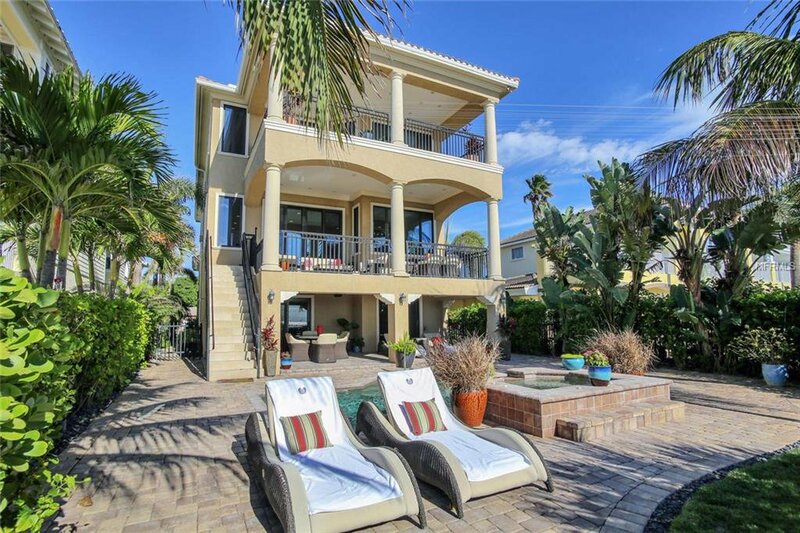 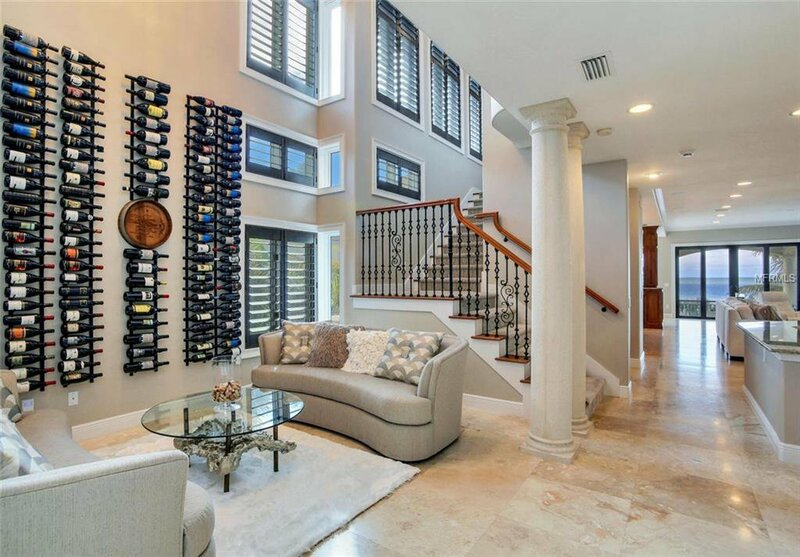 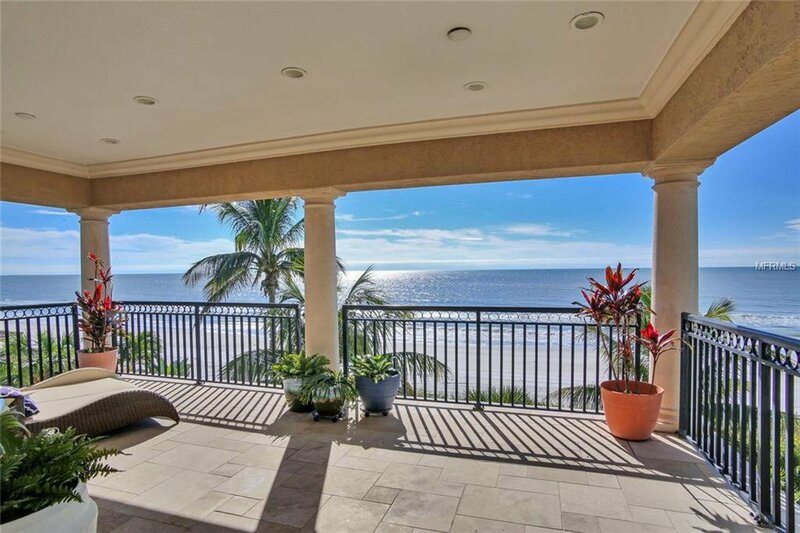 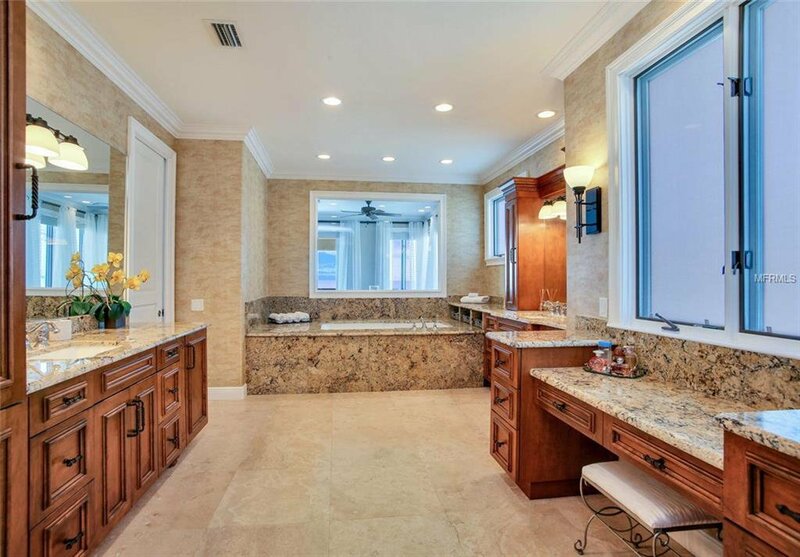 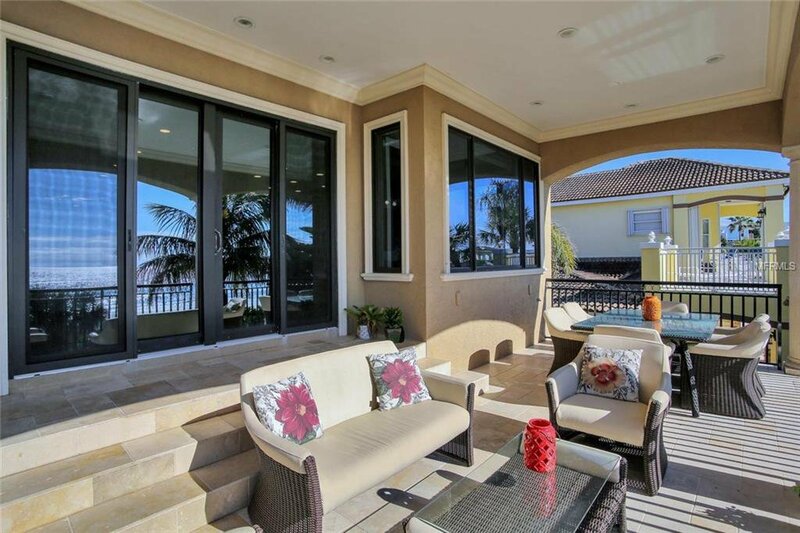 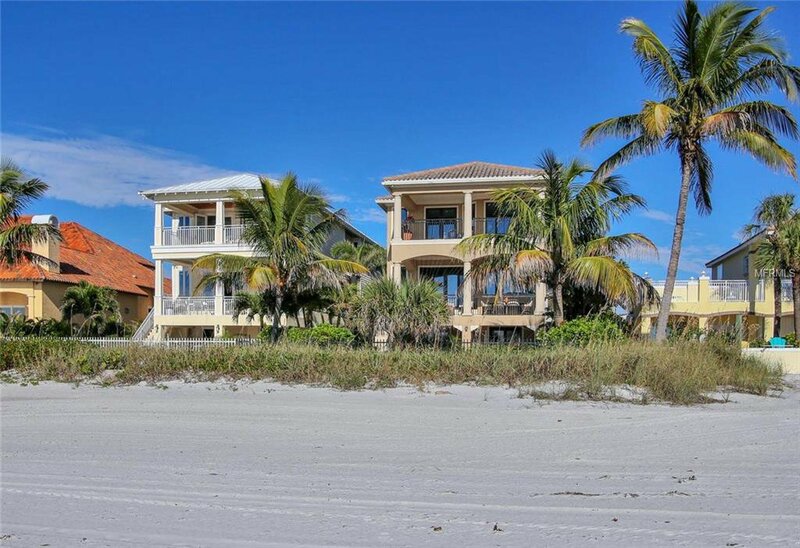 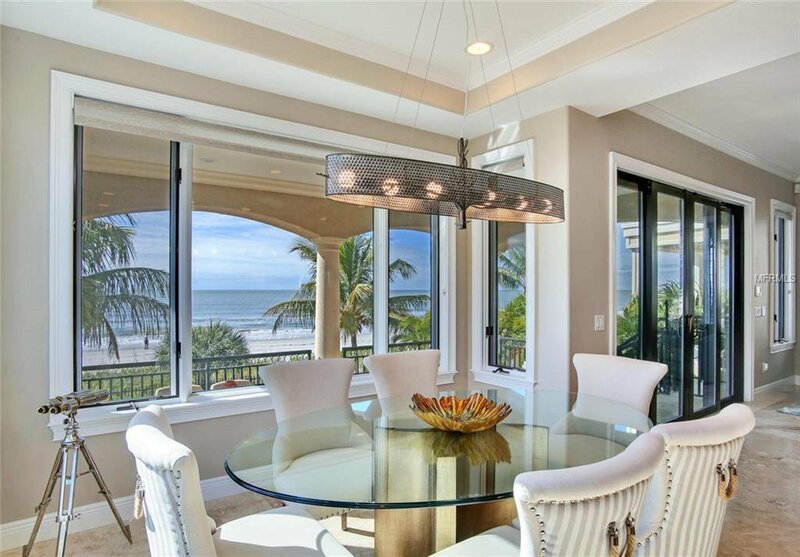 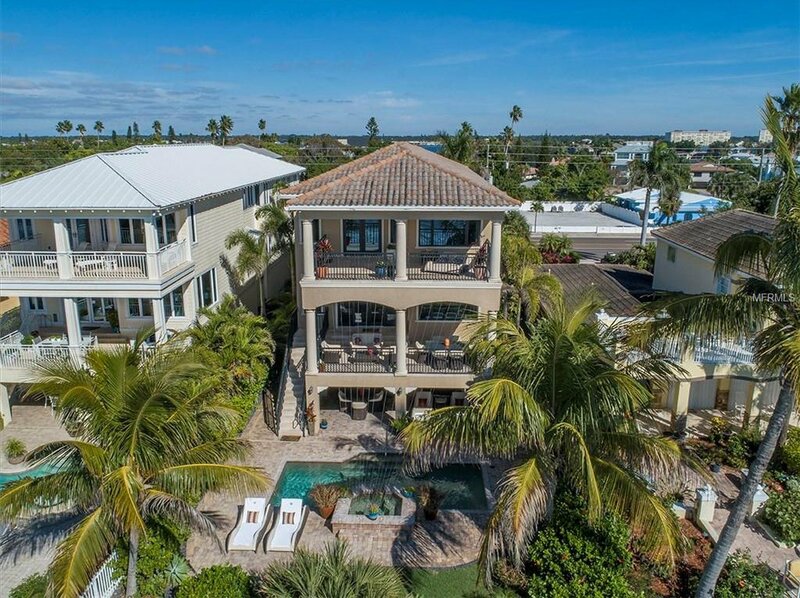 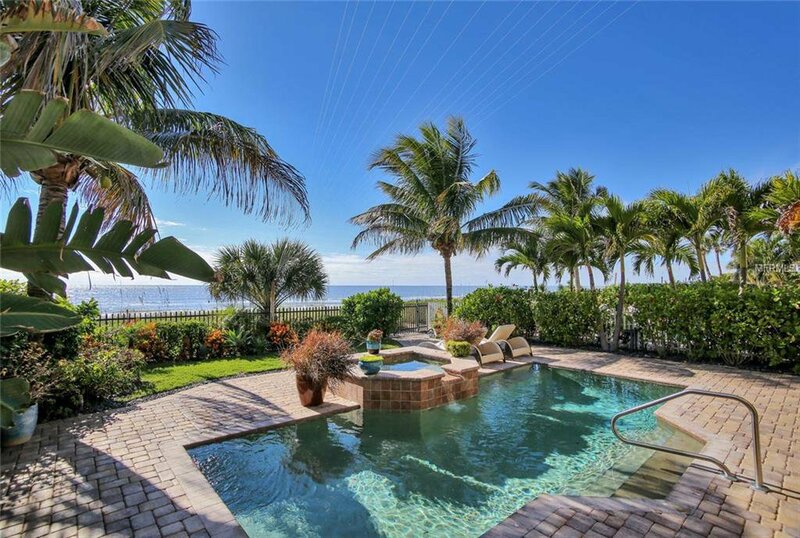 SPECTACULAR CUSTOM BEACHFRONT HOME ON REDINGTON BEACH. 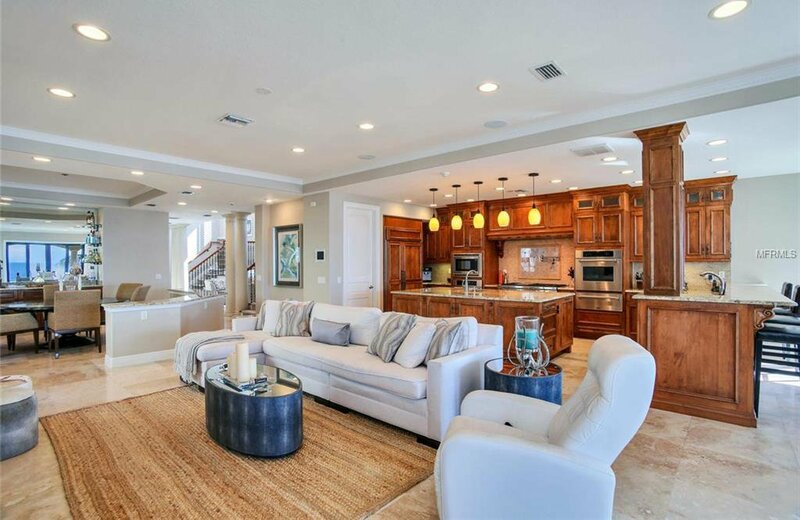 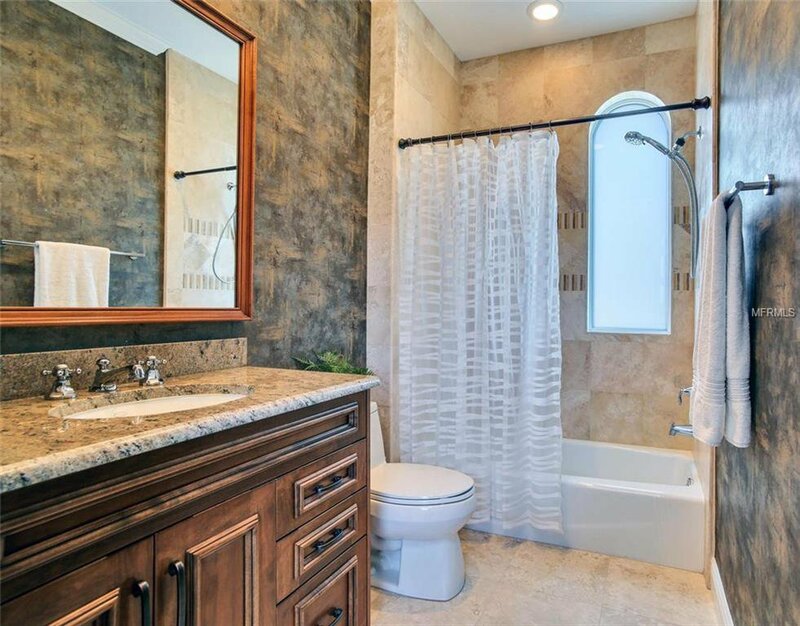 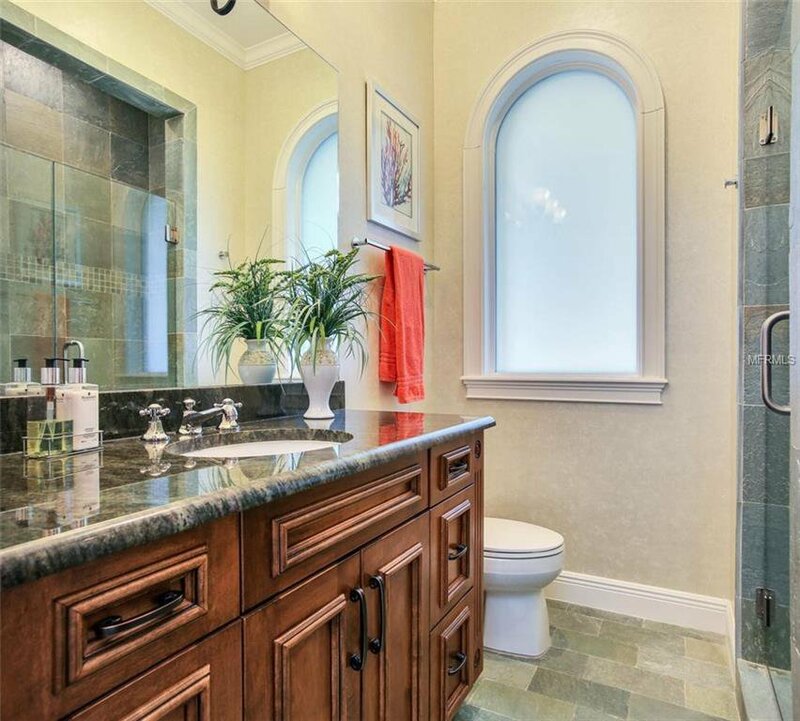 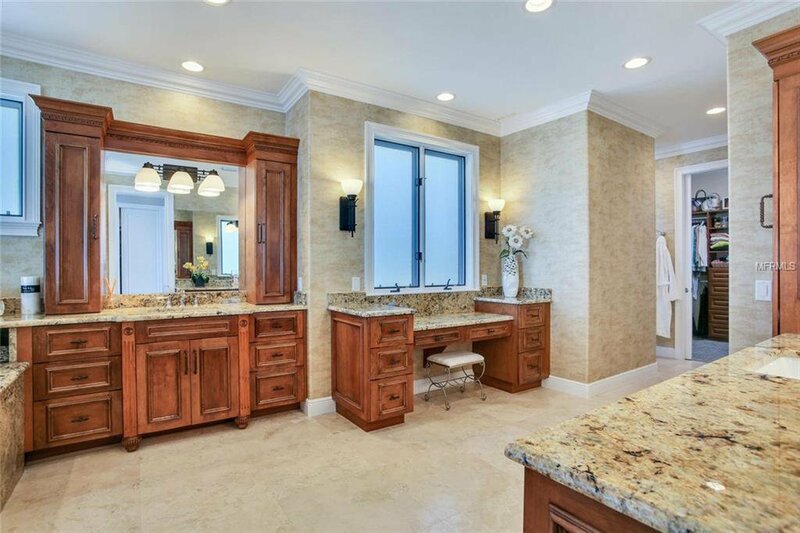 Built in 2008 with magnificent architecture & designer finishes, this 4 bed, 4.5 bath home of 5,110 sq ft has more features than can be listed. 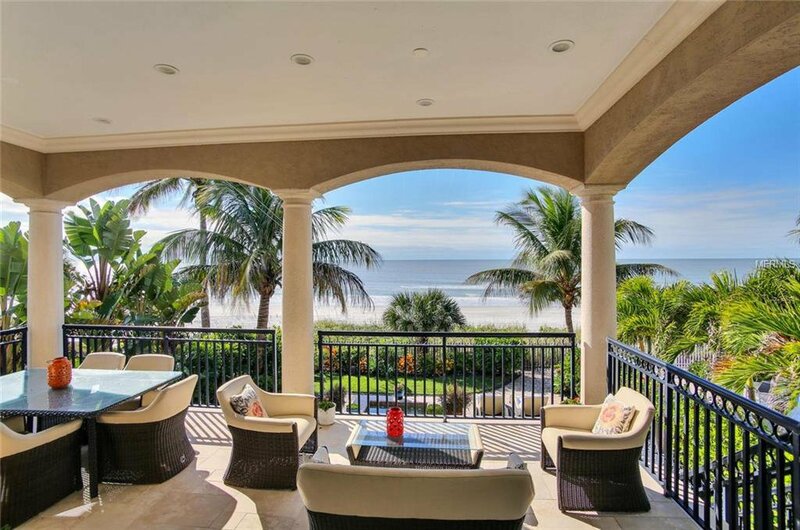 The main floor centers on the great room with forever views of the beach & Gulf of Mexico. 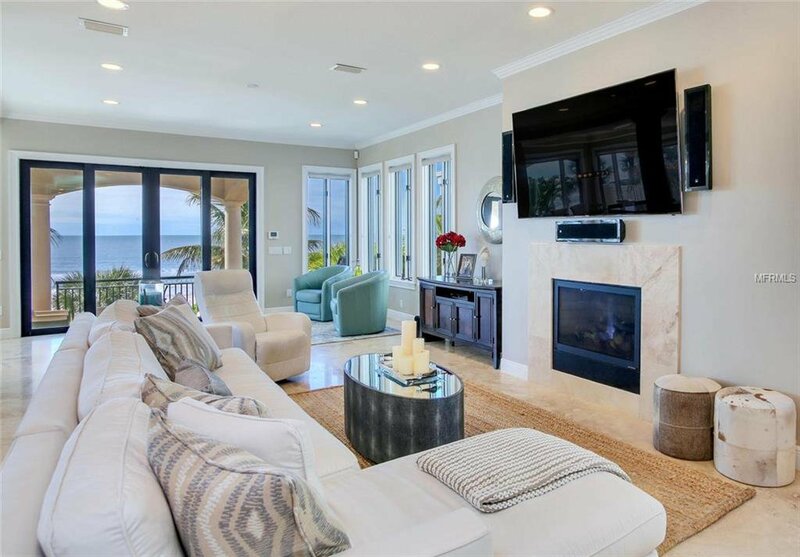 The great room features a living area with gas fireplace, formal dining area with dry bar & casual dining area overlooking the beach. 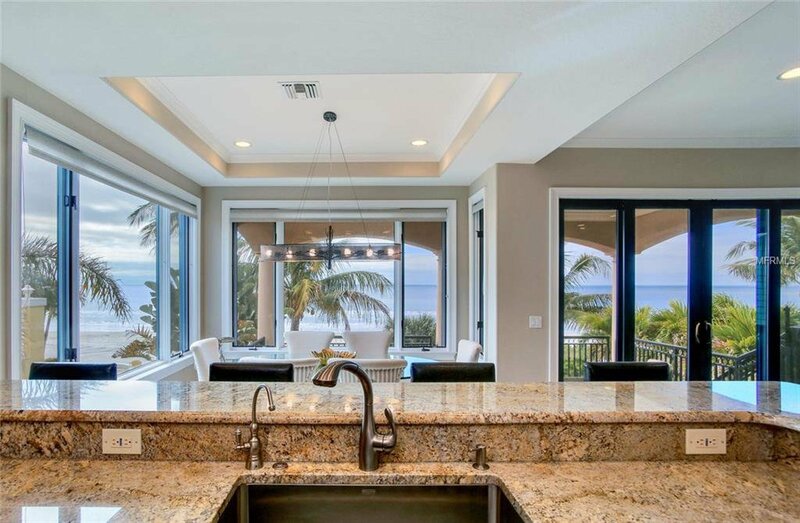 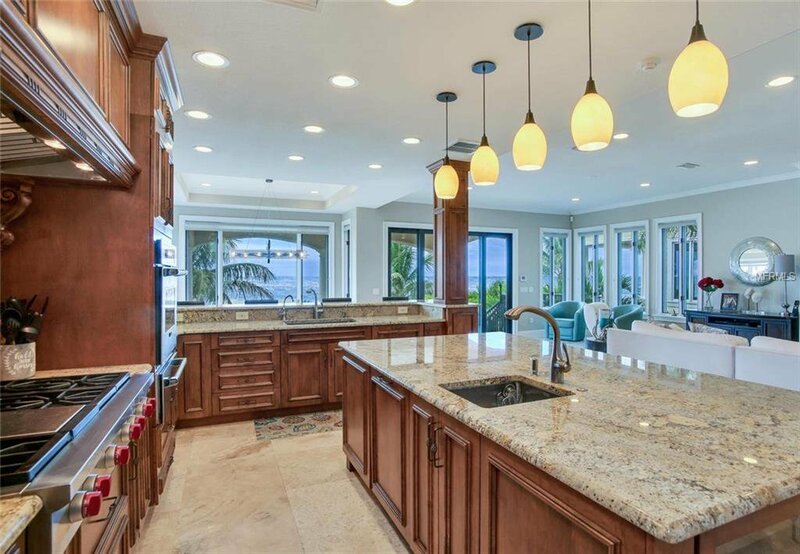 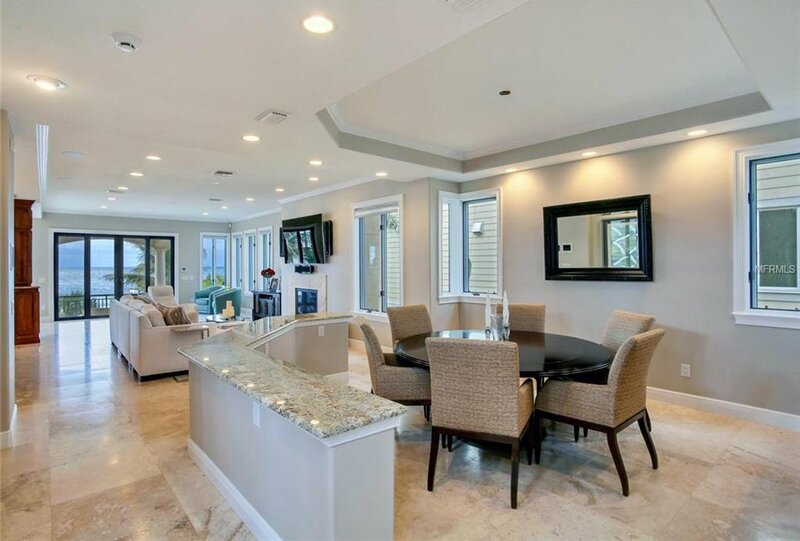 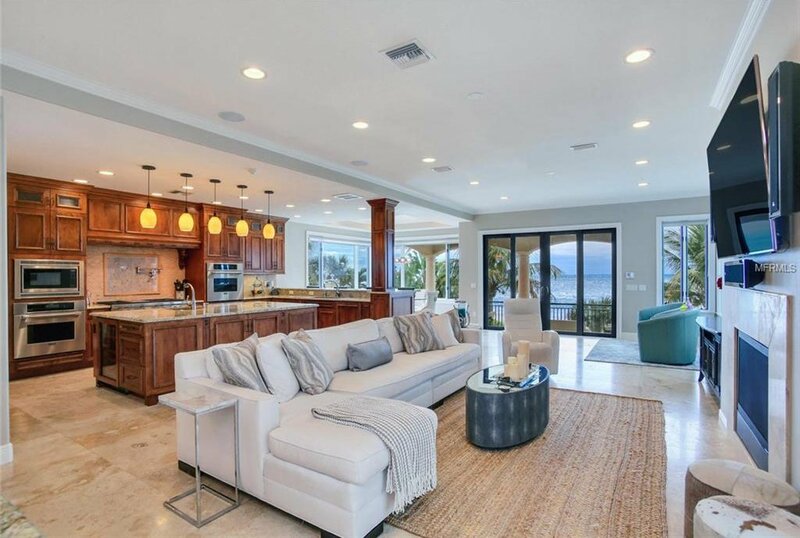 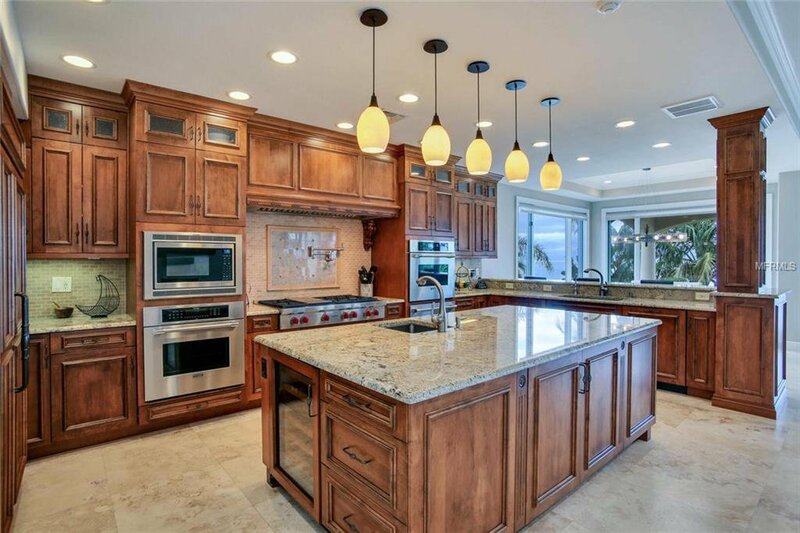 The kitchen is every chef’s dream with gorgeous granite counters, prep island, Thermador, Wolf & Sub-Zero stainless appliances, 6-burner gas range, wine fridge, walk-in pantry & amazing beach views. 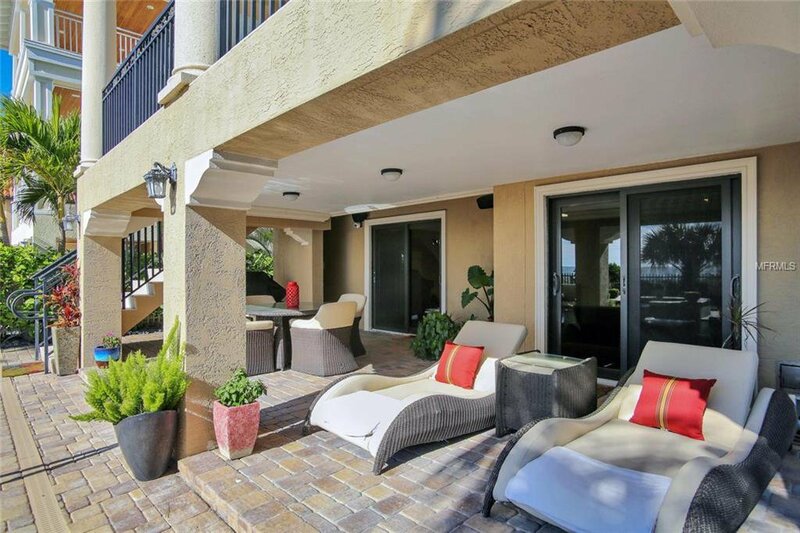 Off the great room is a huge covered travertine balcony with staircase to the pool. 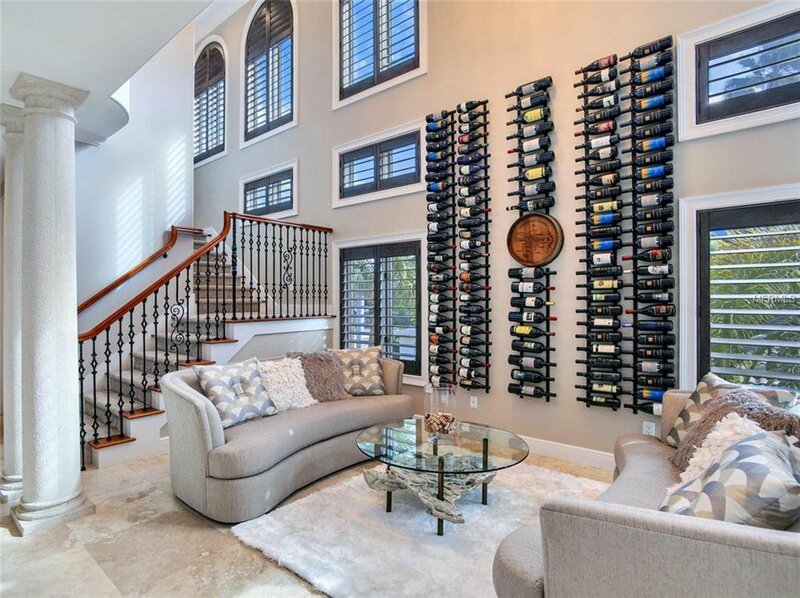 The main floor also features a 2-story family room with wine display wall, state-of-the art media room & a large guest bedroom suite. 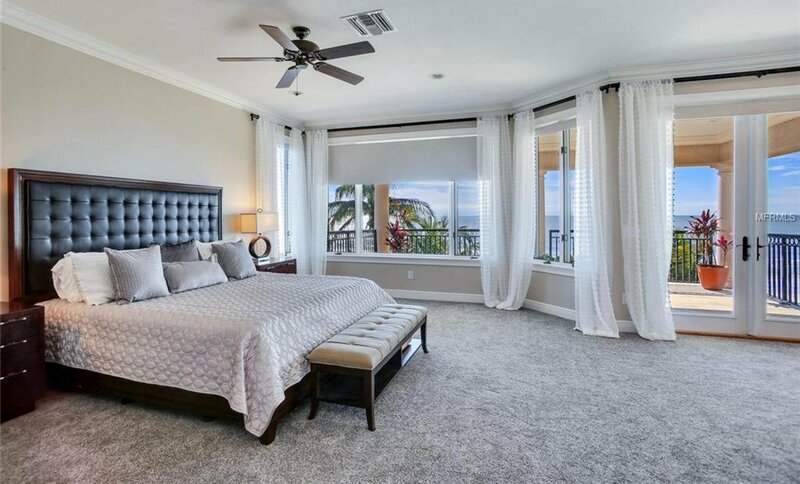 The top floor features 2 additional guest bedrooms & bathrooms, a laundry room & one of the most spectacular master suites on the beach. 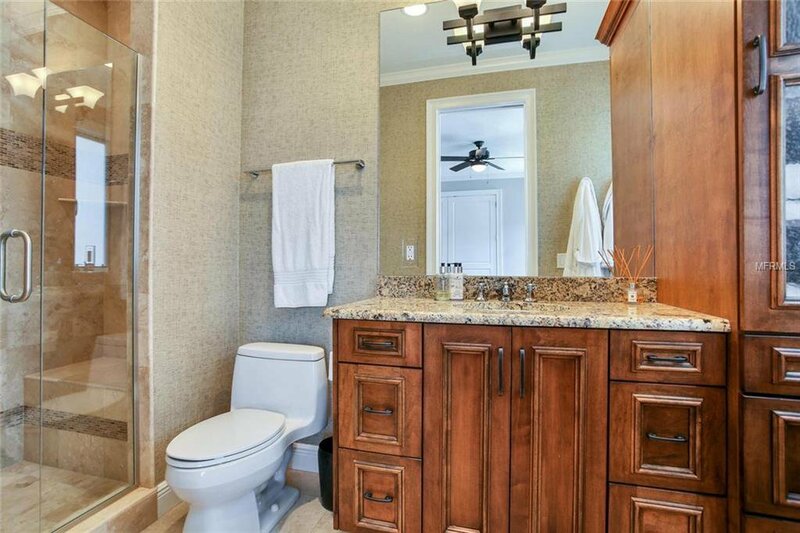 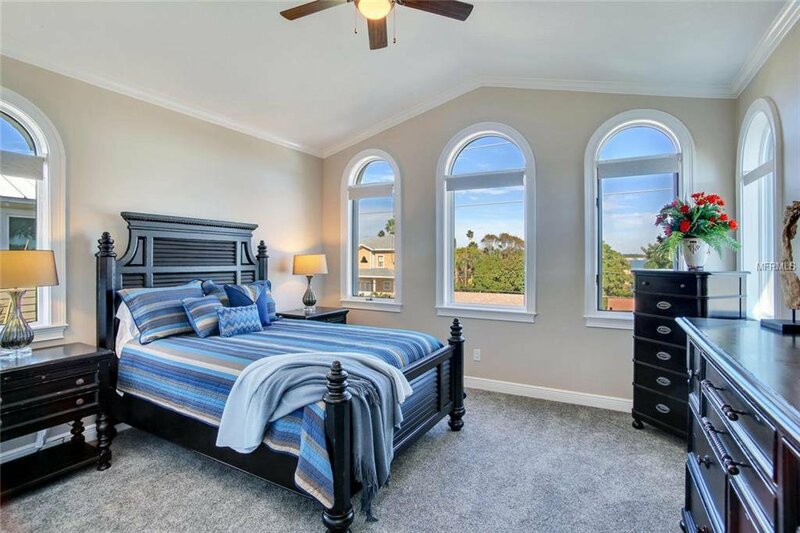 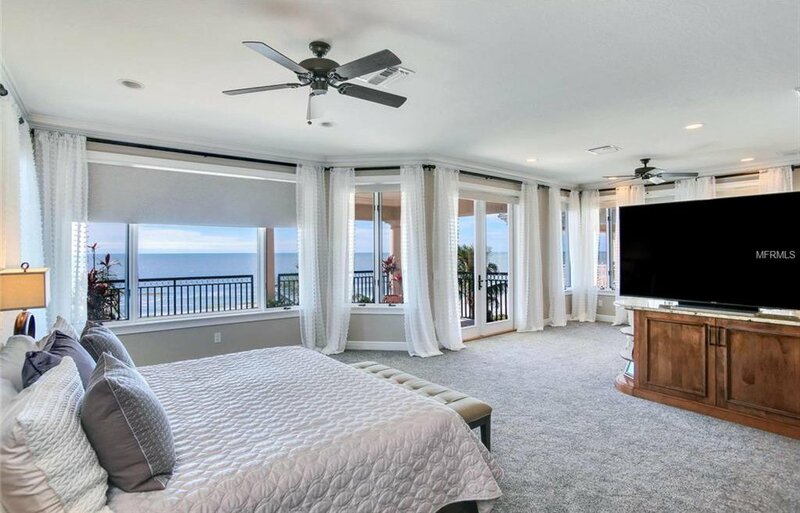 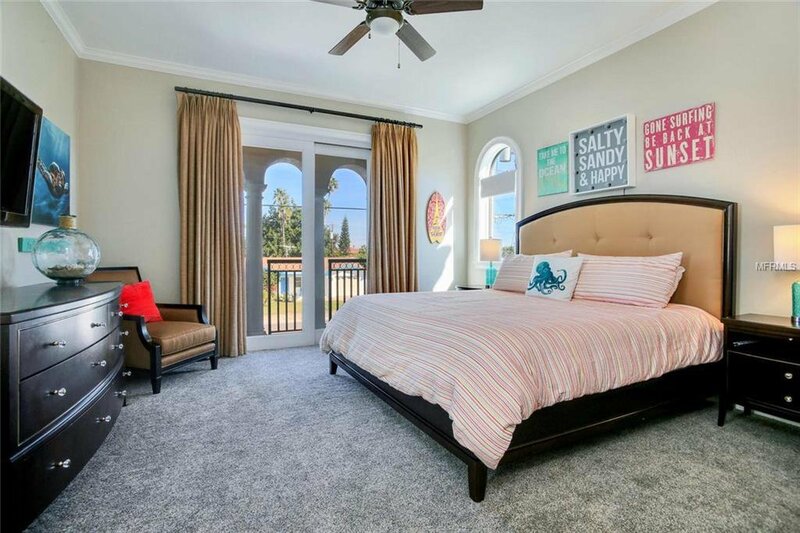 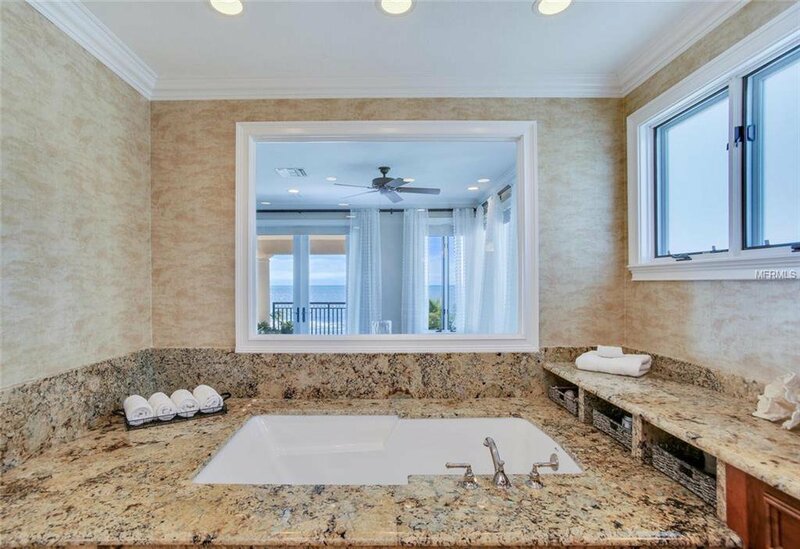 The master suite encompasses the entire beachfront of the top floor with a sitting area overlooking the Gulf, coffee station, covered balcony, 2 walk-in closets & a huge master bathroom with walk-in shower, jetted tub & 2 vanities plus makeup desk. 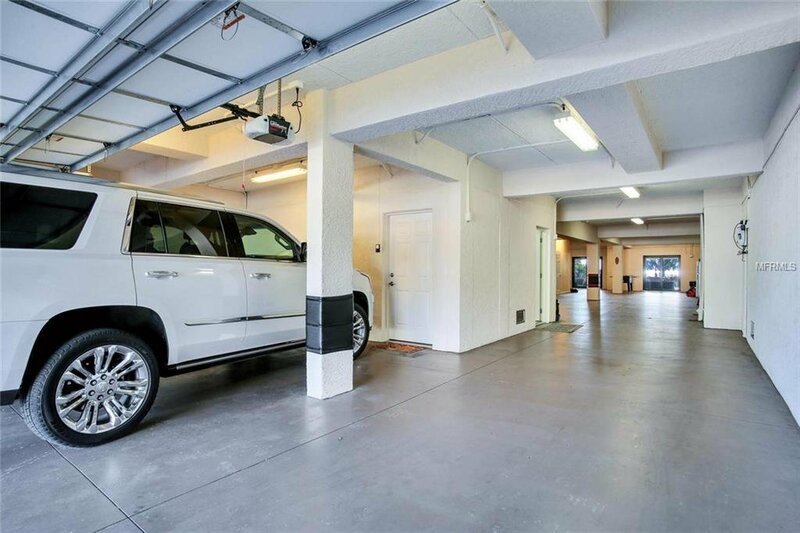 The 1st floor provides parking for at least 6 cars. 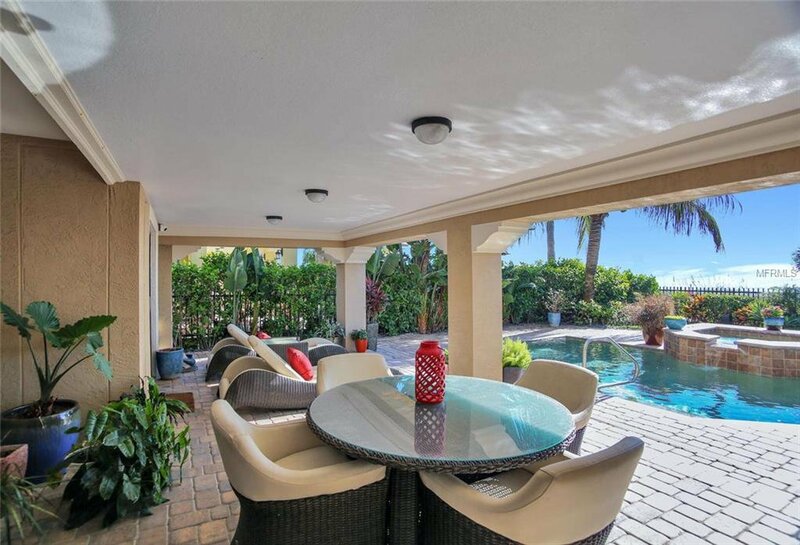 The backyard oasis features a large covered lanai, salt water pool with spa, lush landscaping & direct access to the beach. 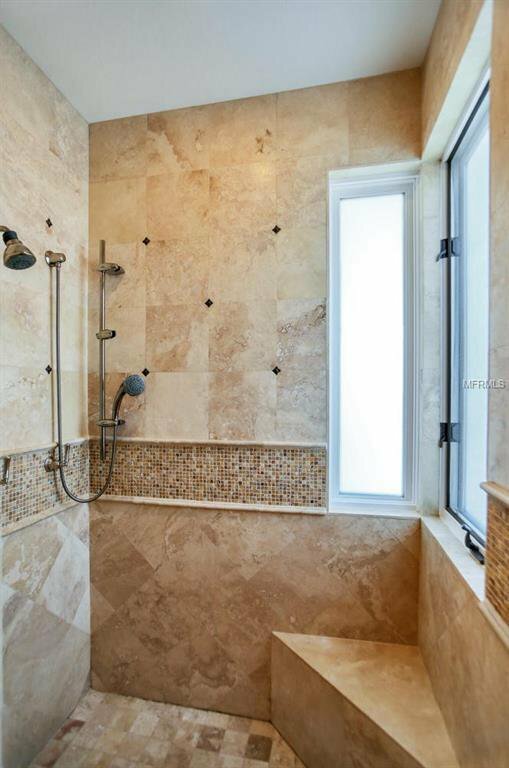 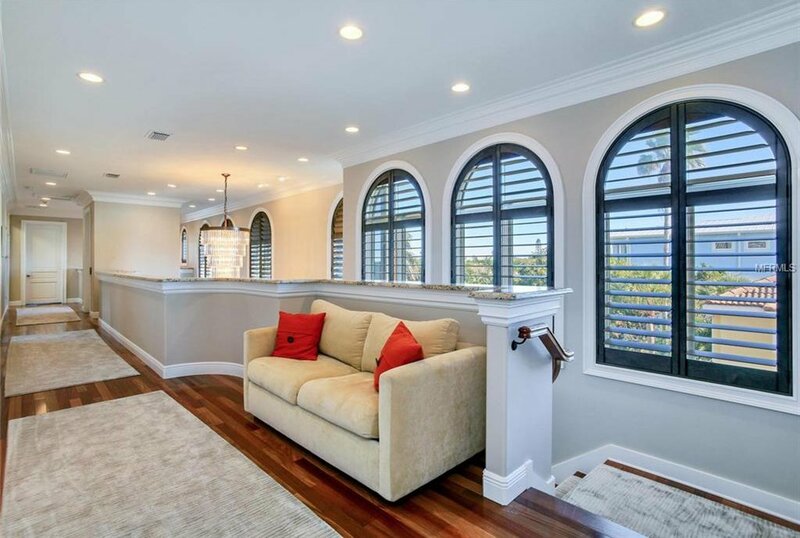 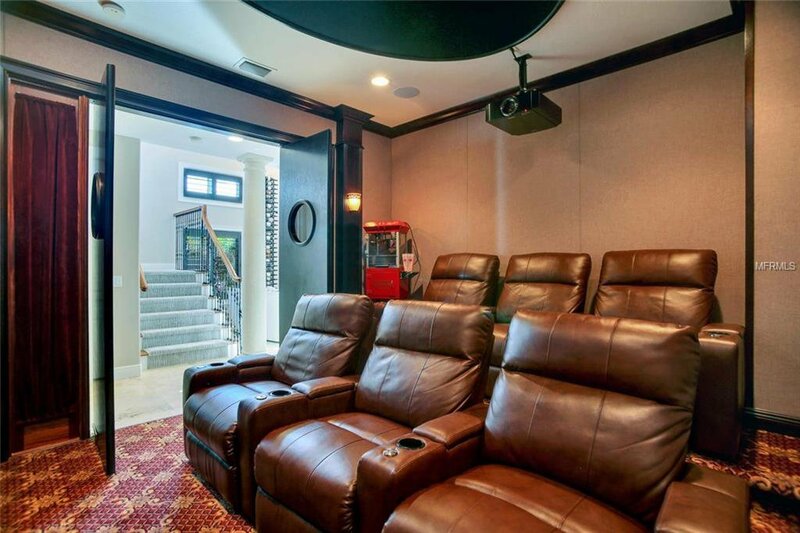 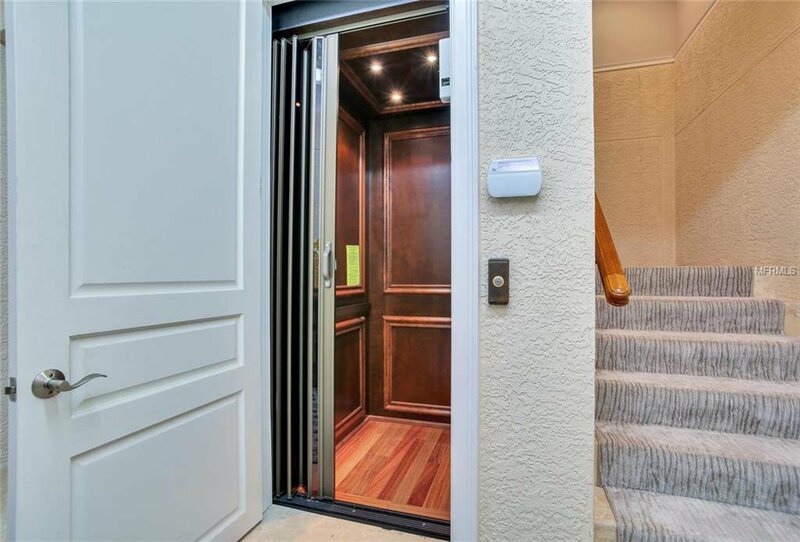 This amazing property also features an elevator & 40 kw generator. 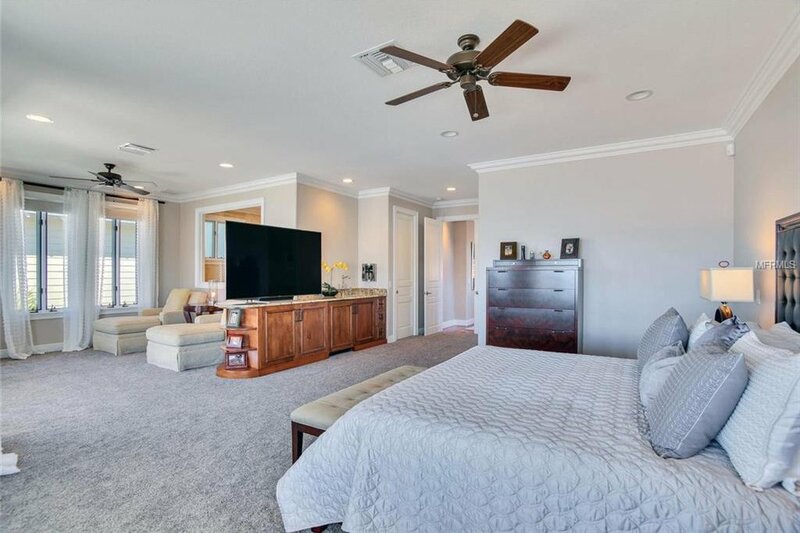 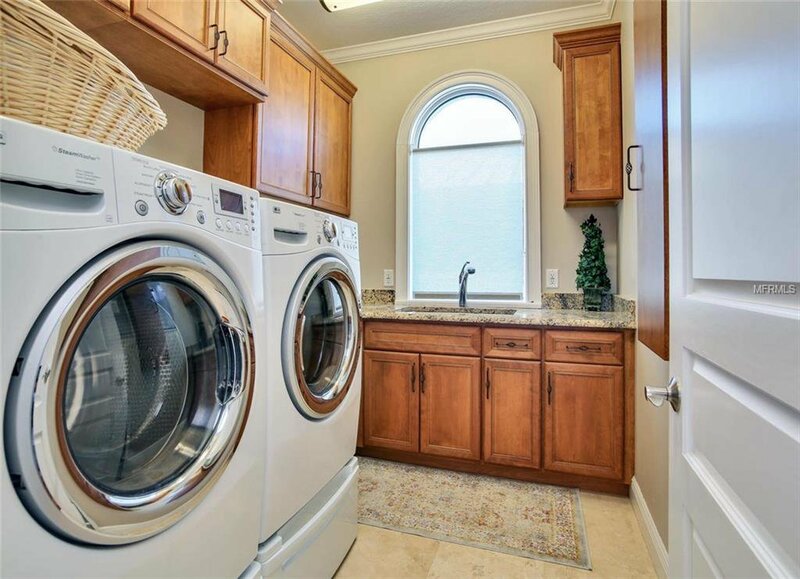 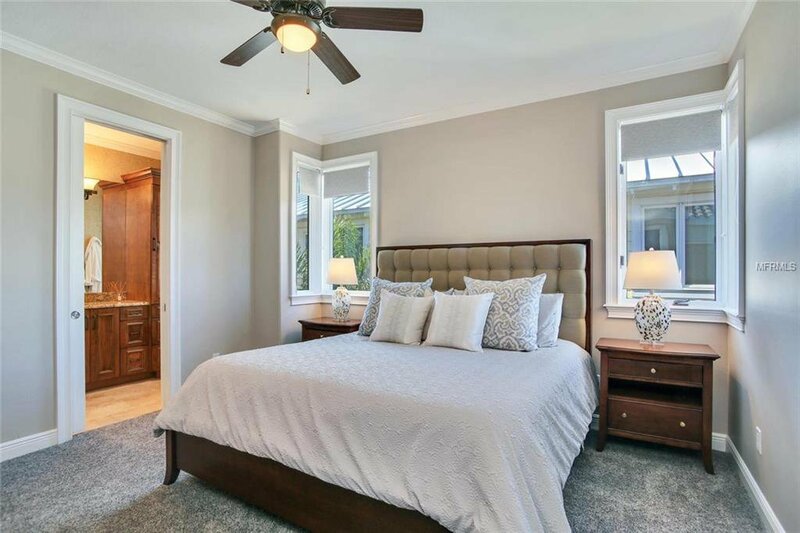 Selling fully-furnished with close to $200K in electronics.